As the Savage Rifts Kickstarter cooks along, folks may be interested to explore the full potential of Savage Worlds and the endless universe of possibilities presented. Today, I’d like to point your attention towards Savage Mojo and their Suzerain Continuum. There are so many worlds to explore – Shaintar, Set Rising, Shanghai Vampocalypse, Millennium Knights, Clockwork Dreams, Dogs of Hades – all with one character, in one campaign. Just imagine combining that with the possibilities of Savage Rifts? 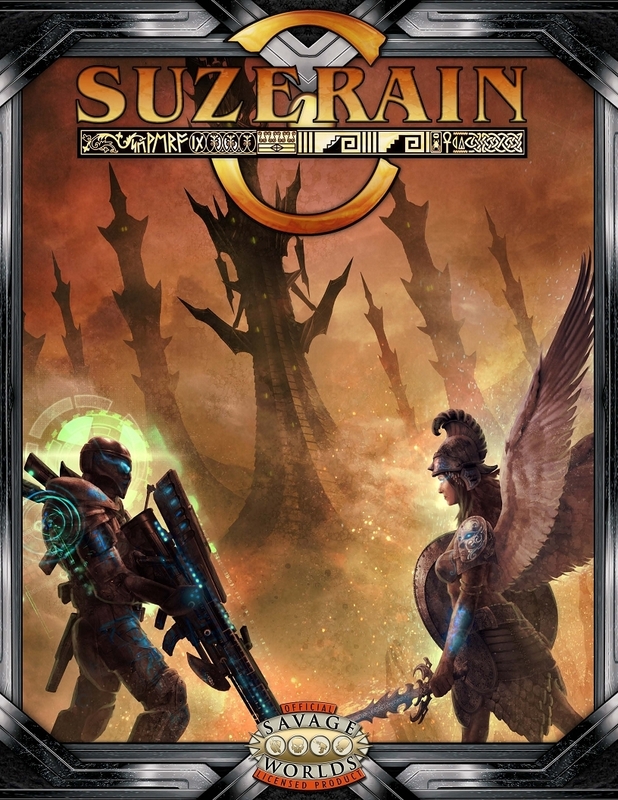 Suzerain is an Origins Award Nominee from the Savage Mojo design house (who brought you Shaintar and Gamescapes, and are Origins Award winners for Deadlands Reloaded). This edition of Suzerain is written for the Savage Worlds rule system (SW:EX rulebook required), expanding the core rules in a number of key ways – a new approach to races is just the beginning. …a pantheon in the making. * All the universe background you’ll need to run games in any time, any place. * Over 50 new edges, hindrances and powers. * Stats for over 100 new NPCs and monsters to use as allies and adversaries. * A vastly expanded system for characters once they hit Heroic rank, with plenty of emphasis on the Legendary experience, and introducing a whole new rank – Demigod. * 30 scenarios including a campaign spanning the three main eras of a character’s development – Novice, Heroic and Demigod.